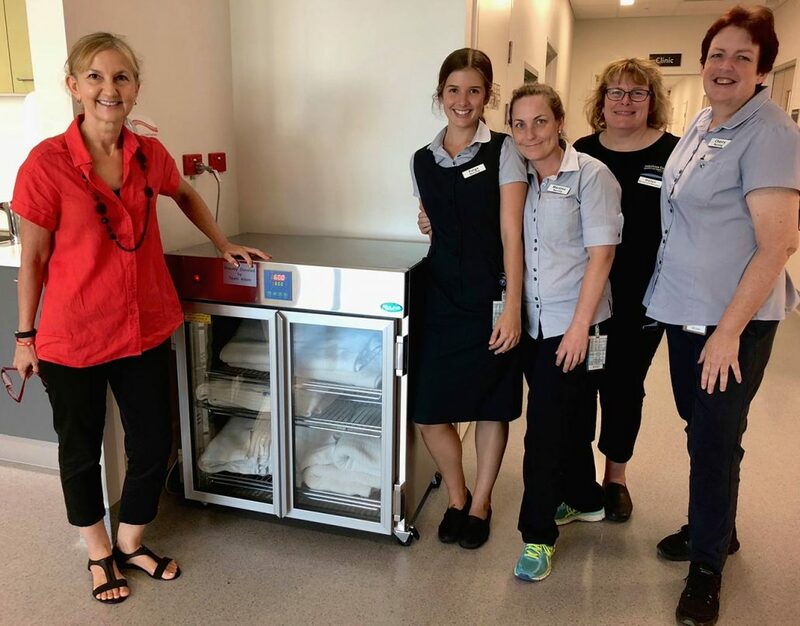 Team Adem was very excited to donate a Blanket Warmer to the Adem Crosby Centre last week. Patients will now be warm and cosy while receiving their treatment. This recent donation was one of Team Adem’s largest at a price of just over $6000. Funds to purchase the Blanket Warmer were raised from our Christmas gift wrapping stall at the Maroochydore Homemaker Centre, a donation from the McGrath Estate Agents Caloundra Community Giveback Program and a raffle and bake sale held by the staff in the Adem Crosby Centre. Thanks again everyone for helping us help others!